For the second time in less than a week, the U.S. Coast Guard reports that it stopped a foreign vessel that was illegally poaching red snapper in waters just off the South Texas coastline. According to a USCG news release, a routine patrol last Friday afternoon by a South Padre Island stationed Coast Guard crew discovered a 20-foot Mexican fishing boat, also known as a lancha. The Coast Guard crew, patrolling Gulf waters aboard a 33-foot law-enforcement craft, intercepted the lancha and its four-person crew some 19 miles off the Texas coast and two miles north of the U.S./Mexico maritime border. When intercepted, the lancha was actively fishing without a legal permit and had 130 dead red snapper packed in ice. 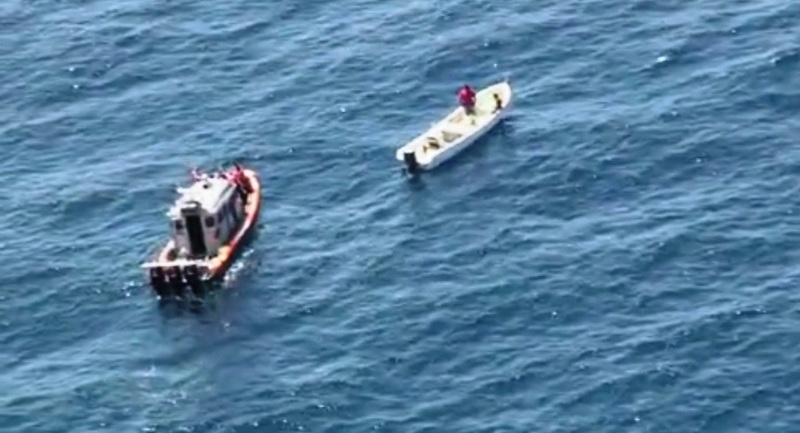 According to the news release, the lancha was towed back to the Coast Guard station at South Padre Island where the lancha’s four crew members were turned over to U.S. Customs and Border Protection officials. “So far this year we have had a record number of sightings and seizures, mostly with large amounts of red snapper on board,” said Cmdr. Daniel Deptula, the response officer of Section Corpus Christi, in the news release. This most recent interdiction and seizure of illegally poached red snapper follows after a similar operation on June 1 where the U.S. Coast Guard stopped a lancha and its four-person crew in the Gulf of Mexico not far off of the Texas coastline. That crew was found in possession of 450 illegally poached red snapper, all dead and packed on ice. Once again, should fishermen or boaters witness suspicious or illegal fishing activity in Texas’ state waters (out to nine miles offshore), they are urged to contact the Texas Parks & Wildlife’s “Operation Game Thief” hotline at 1-800-792-GAME (4263). For all suspicious or illegal fishing activity that is witnessed in federal waters (out to 200 miles offshore), fishermen or boaters are urged to contact the U.S. Coast Guard at (361) 939-6393.